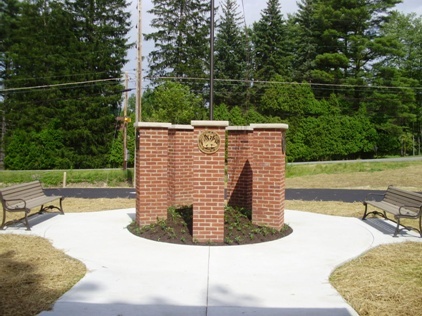 The White Township Veterans’ Memorial is the Eagle Scout Project of Ryan Plessinger. 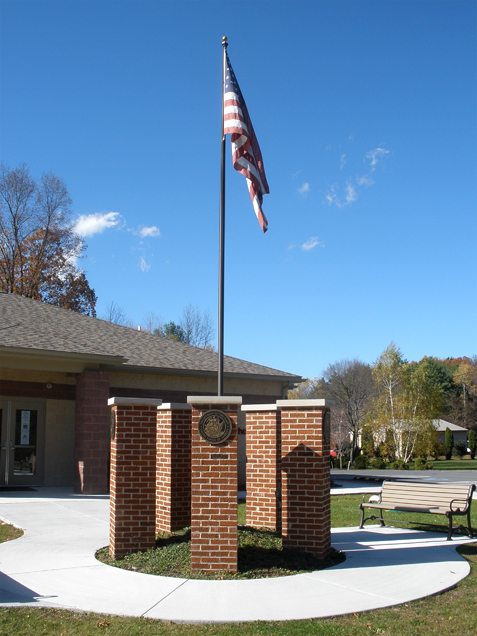 Ryan conceived the project when he realized that White Township was the only municipality in the Glendale Valley that did not have a memorial to honor its veterans. When the plans for the new building were approved the White Township supervisors decided to make the memorial a part of the new construction. The White Township Board of Supervisors donated the ground for the memorial and will be responsible for its ongoing maintenance. The memorial was made possible by major contributions of expertise, materials, and labor by Keller Engineers of Hollidaysburg and S.J. McCloskey Builders of Altoona and generous financial contributions by residents of the Glendale Valley. We also offer a special thanks to the members of the Coalport VFW color guard who participated in the dedication ceremony. The memorial stands in honor of all who serve and in cherished memory of those who made the ultimate sacrifice. The American Flag in the center of the memorial represents the country for which those remembered fought and died. Each of the five pillars represents one of the branches of the United States armed forces; Army, Marines, Navy, Air Force, and Coast Guard. The bricks in the pillars were salvaged from the White Township School building that was razed to allow for the current construction. The mound on which the flag pole stands represents the Native American Indian burial mounds which are located in White Township.